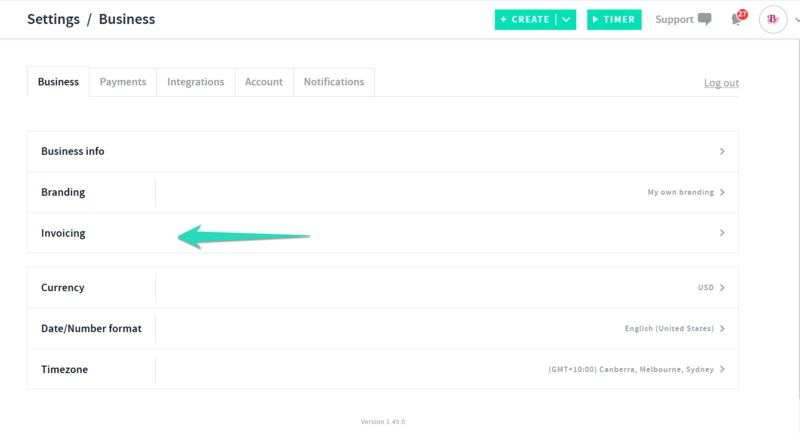 How Can I Set Up Default Tax Settings? 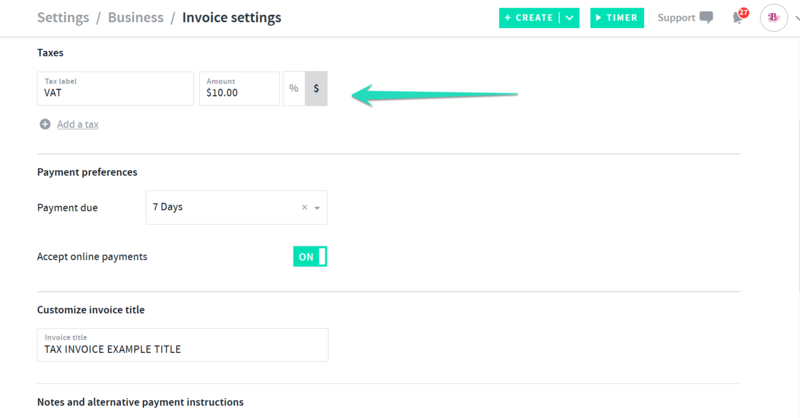 Simply set up your default Tax code and percentage with AND CO which will auto populate on invoices! You can also delete a tax code/rate simply by selecting the trash can to remove it. 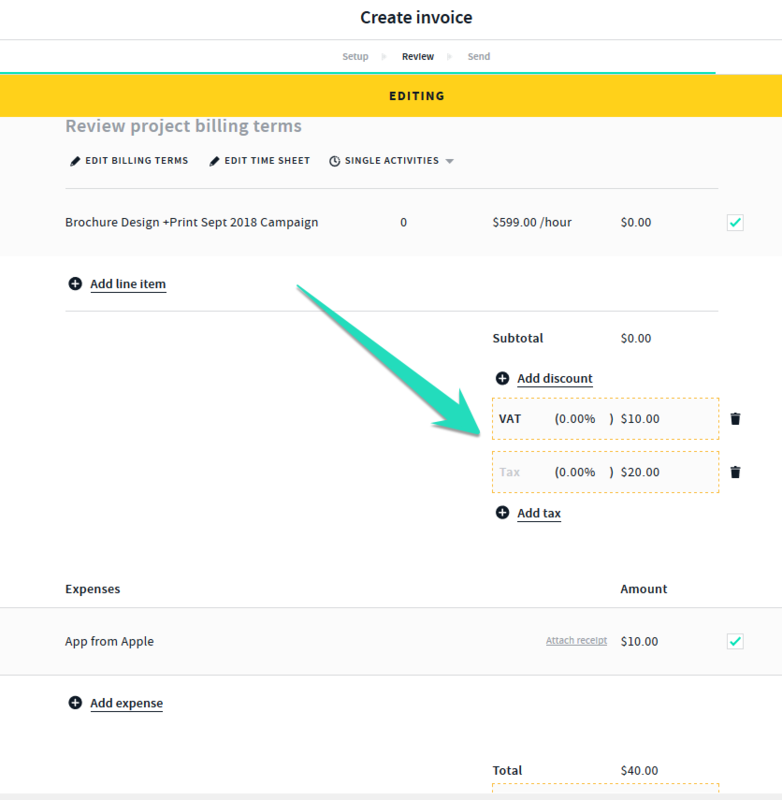 Select the Tax component directly on the invoice to edit the fields on invoices directly.